Today's Living Rosary Association, 20 years-young! To become a member of the 11 million-strong Universal Association of the Living Rosary, visit their site here to enrol. As they explain, "the Living Rosary is not a new devotion, but a continuation of the Rosary preached by St. Dominic and announced by Our Lady for centuries." This international prayer association consists in dividing the traditional 15 Rosary Mysteries among a circle of 15 'associates', each of whom pledges to pray one decade for a specific Mystery, every day for life. (Missing a day does not constitute a sin, but should not occur through wilful neglect.) In this way, each circle of 15 associates prays an entire Rosary every day, forming a perpetual 'living Rosary'! Better still - and like members of the Confraternity of the Holy Rosary - each Living Rosary associate receives the benefits, graces & strength of praying an entire Rosary, every day! 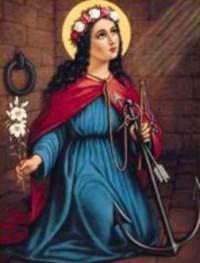 Be sure to read the story, further down on this page, of how the original Living Rosary came to be, and how St. Philomena became its patroness and protector - it's a very interesting story! Early on, news of the Melvins' work reached the director of the principal shrine of St. Philomena in Mugnano, Italy, Fr. Giovanni Braschi, who visited Texas in 1987. Among the items Fr. Braschi brought for the Melvins, was the 'Little Manual of the Living Rosary Association', which contained its original directives, guidelines and indulgences. This allowed the revived Living Rosary to be organized and to continue to operate exactly as the original Association had done. By 1991, Living Rosary membership reached 60,000, which tripled to 180,000 by 1994! And today, millions of people worldwide belong to the Universal Association of the Living Rosary. Of these, 3/4 are outside of the United States, and in third world countries. Members of today's Living Rosary include Catholic bishops, priests and religious, and everyday people. Each is asked to consider a small monthly donation or, in place of this, a fervent prayer for the Association’s material needs. All moneys received are used to mail sacramentals to Catholic foreign missions, spread the Living Rosary devotion, maintain its Center, and distribute to members the Association’s quarterly newsletter, 'Dedicated Decades', published in six languages. leading silk merchant in the city of Lyons, France. her mother, whose own health weakened, resulting in her death soon after. After a long convalescence, a fully recovered Pauline re-entered the social scene, but would often feel a puzzling sadness after attending social functions. Then one day, after listening to a Lenten Mass homily on the subject of vanity as reflected in the clothing and behaviour of her peers, Pauline underwent a deep conversion. The priest answered her inquiry about vanity, explaining it as "the love of attention and those things which hold the heart captive when God is asking a person to rise to higher things". Consequently and with great difficulty, Pauline traded her fine wardrobe for a simple, modest dress in purple, a colour which she disliked. She gave away her fancy clothing, sold her jewellery and other valuables, and gave the money to the needy. In her own words, "I took such extreme measures because, if I had not broken off all at once, I would not have done it at all. For the first several months, every time I met one of my girl friends dressed in the latest fashion I suffered bitterly...I suffered terribly during my first few months of conversion". Pauline also began to minister to the sick and poor, often at Lyons' 'Hospital for Incurables'. At age 17, she took a perpetual vow of virginity and at 18, she wrote a treatise on the Infinite Love of the Divine Eucharist. During a long visit with her brother and his family in Saint-Vallier (Drome) where they ran a silk factory, Pauline helped wayward girls of her own age, finding work for them at the factory and giving them Christian encouragement. Pauline inspired and organized these girls into an association called the 'Penitents' or 'Reparatrices' (meaning Women of Reparation to the Sacred Heart of Jesus). The approximately 200 members met regularly, helped the poor and sick and followed a simple rule of life. At around this same time, Pauline joined the French Foreign Mission Society, which in 1818 instituted a collection system for lay people to support Catholic foreign missions. At age 20, Pauline received a letter from her brother Phileas, who was studying for the priesthood, in which he described the extreme poverty of the French foreign missionaries in Asia. This only added to her great desire to share Christ's love with as many people as possible. 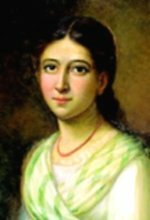 Thus, Pauline conceived and set up her own extensive network of individuals (including the young ladies working at her brother's factory), who contributed both prayers and money to the missions. She began by soliciting help from her many friends and acquaintances, each of whom would contribute one 'sou' (about a penny) per week. Interested members were each tasked with finding 9 others, and membership grew by 'circles of ten'; a designated 'collector' from each circle would remit its weekly offerings to a central director and general committee. During the same year of 1822, Pauline fell seriously ill with a heart condition, infected lung and a congested liver, but in time recovered satisfactorily. Following a three-year period of retreat advised by her spiritual director, she was inspired to enlist Catholics in several parishes to form a 'Living Rosary'. In 1826, Pauline inaugurated this prayer association, likely on December 8, which is the Feast of the Immaculate Conception (that is, of Mary's immaculate conception in her mother Anne's womb). The Living Rosary consisted in dividing the traditional 15 Rosary Mysteries among a circle of 15 'associates', each of whom pledged to pray one decade for a specific Mystery, every day for life. In this way, each circle of 15 associates would pray an entire Rosary every day, forming a 'living Rosary'! Pauline's genius lay in combining this simple yet most powerful and highly indulgenced prayer, the Holy Rosary of the Blessed Virgin Mary, with the real, natural power of association. She created the Living Rosary Association for the purpose of converting souls and strengthening the Church in France, which had been attacked & undermined during the French Revolution. A second purpose, in the form of the 'Good Book Society', was to aid in conversions through the distribution of good Catholic literature. In its first year and a half, the Living Rosary grew to over one million members, who prayed their daily decades and each contributed up to a dollar per year. Unfortunately, Pauline again endured public criticism and rumours, this time that she was using collected money for her personal gain (despite the fact that her father financed many of her charitable endeavours). 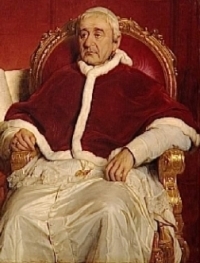 In an effort to validate her Association of the Living Rosary, as well as her reputation, Pauline asked for Pope Gregory XVI's intervention. The Pope responded by issuing her a certificate authorizing the Living Rosary and the Good Book Society, but this was intercepted by certain French clergymen hostile to Pauline, and she received it only years later. Nonetheless Pauline persevered and in 1832 bought a house in Fourviere, which she called 'Lorette' in honour of the Holy House of Loreto in Italy. At Lorette, she founded the 'Daughters of Mary', a community of young ladies who worked with her in helping the poor. A very good friend and advisor of Pauline was the renowned Fr. 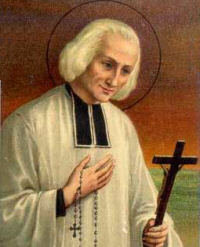 St. Jean Vianney - also known as the 'Cure of Ars'. He would often visit Lorette, during his long walks from Ars to Lyons to acquire money and clothing for his orphanage. Lorette also became the Living Rosary's headquarters, from where Pauline shipped a daily average of around 1,000 religious items, including Catholic literature, to apostolic missions. By the end of Pauline's earthly life, membership in the Living Rosary had grown to over 2.25 million in France alone! During her middle years, Pauline developed serious health problems, including advanced heart disease which would cause violent palpitations of her enlarged heart. Though acutely ill on several occasions, Pauline's health would improve most notably after praying to Philomena, a first-century martyr whose relics had been discovered in the Roman catacombs in 1802 and to whom, in the intervening time, many miracles had been attributed. In fact the Cure of Ars, St. Jean Vianney, shared and promoted his own deep devotion to Philomena; he even appealed to her and was apparently cured from a life-threatening illness in 1853! In his exceeding humility, Fr. St. Vianney attributed to Philomena the miracles he himself performed. In March 1835, a gravely ill Pauline and her companions undertook a dangerous trip to Rome, to meet with Pope Gregory XVI concerning authorization of the Living Rosary. After this, she hoped to travel on to Mugnano Italy where the relics of St. Philomena were enshrined, in order to pray for her health. When the Pope heard of Pauline’s heroic journey and grave illness, he traveled out to meet her where her fragile health had forced her to stop. His Holiness thanked Pauline for her contributions to the Church, graciously blessed her, and asked her to pray for him when she reached Heaven. She agreed, but also informed him of her plan to visit Philomena's shrine. 'Holy Father', she asked, 'if I come back well from my visit to Mugnano, and go on foot to the Vatican, will your holiness deign to proceed without delay with the final inquiry into the Cause of... Philomena?' (to officially declare this martyr a saint), to which the Pope replied 'Yes, yes, my daughter, for that would be a miracle of the first class'! Once Pauline had regained some strength, her party continued on to Mugnano, arriving there on the eve of Philomena's feast - that is, the feast of the translation (transfer) of her relics from Rome to Mugnano - which is traditionally celebrated on the second Sunday of August. Word of Pauline Jaricot’s arrival stirred considerable excitement among the thousands gathered at Philomena's shrine. order to fully investigate the miracle. named her its patroness and protectress. endured for her faith before her death. Sadly, Pauline passed the last fifteen years of her life in poverty and humiliation, due to a failed business venture. After years of prudent consideration, and the approval of the Cure of Ars, Pauline had proceeded with her vision of founding a model Christian factory community. Once again, she'd succeeded in raising a great deal of money, this time from wealthy businessmen. With it, she bought a property called 'Rustrel' and saved for construction. However the project turned to disaster, when her two financial advisors – whom she had hired as a safeguard against public criticism – embezzled most of the capital! Refusing to declare bankruptcy, Pauline was reduced to begging alms in order to repay the Rustrel benefactors. Only a few wealthy families donated funds to her plight, including John Henry Newman of England and Frederick Wilhelm of Prussia. And, despite papal intervention, the leaders of the Society for the Propagation of the Faith declined any help for what they saw to have been a commercial enterprise. They also pointed out that Pauline had never before claimed to be the Propagation’s founder. Pauline and her family finally settled this enormous debt, after her sale of the Rustrel property, and the sale of Lorette following her death. After Pauline's death, administration of the Living Rosary passed to the Dominican Order of Preachers, who already (and have since) managed the Confraternity of the Holy Rosary. Unfortunately, they paid less attention to the Living Rosary Association which, although accorded all the same indulgences as the Confraternity - and more! - came to be viewed as a mere stepping stone to the Confraternity. Over time, contacts were lost, and membership in the Living Rosary dwindled. However Pauline Jaricot and the Living Rosary were not forgotten. In 1962, 100 years after her death, Pope John XXIII signed the decree that proclaimed the virtues of Pauline Jaricot, and declared her as 'venerable'. Pope John wrote: "It was she who thought of the society" (for the Propagation of the Faith - see Note that follows for more information), "who conceived it, and made it an organized reality". Note: The Society for the Propagation of Faith exists to this day, and is one of the Vatican's four Pontifical Mission Societies. Its purpose is to assist Catholic missionary priests, nuns & religious to spread the Gospel worldwide, by means of prayer and alms (donated money or goods). The Society, which supports missions only until they become self-sufficient, is centrally administered in Lyons and Paris, France, by two councils of twelve clergymen each, as well as lay businessmen. Catholic missions around the world are at the ongoing mercy of Society members, whose contributions are conscientiously distributed worldwide every January. To become a contributing member of the Society, one must commit to reciting a prayer for the missions each and every day, as well as to contribute at least 50 cents per month to the general fund (special members commit to a minimum of $6 per year, and perpetual members to a one-time sum of at least $40). Twice a month, 350,000 issues of the illustrated magazine 'Annals of the Propagation of the Faith' are published in more than a dozen European languages and dialects. The magazine features letters from Catholic missionaries, mission news stories, and accounts of all moneys received and distributed. Four times a year, the Society also publishes an illustrated magazine called "Mission", in Italy, France, England, Germany, Holland, Spain, Poland, Hungary, and the United States. Mission magazine was established in 1951, by American Archbishop Fulton Sheen who, at that time, was the U.S. National Director of the Propagation of the Faith. Mission is designed to foster a missionary spirit among Catholics, by informing them of the life and needs of the Catholic Church in the Missions. You may subscribe to Mission magazine here.